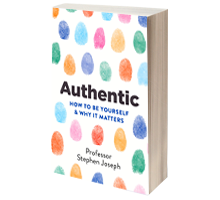 Drawing on the wisdom of existential philosophers, the insights and research of psychologists, and case studies from his own and others’ clinical experiences, Stephen Joseph shows how authenticity is the foundation of human flourishing. 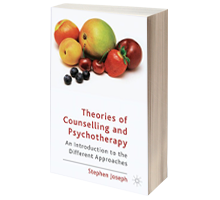 Stephen Joseph’s new book aims to engage the general reader with the exciting and fast-moving research field of positive psychology. 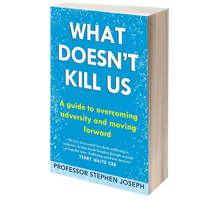 What Doesn’t Kill Us reveals how all of us can navigate change and adversity – traumatic or otherwise – to find new meaning, purpose, and direction in life. 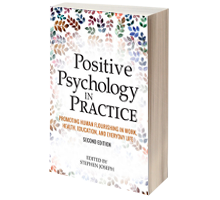 This book moves beyond the theoretical to show how positive psychology is being used in real-world settings, and the new directions emerging in the field. 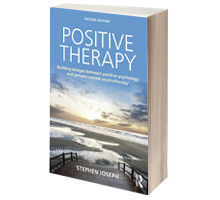 Positive psychology emphasises the need to understand the positive side of human experience. 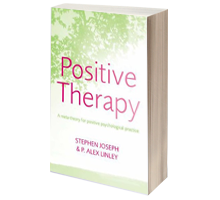 Positive Therapy explores the relevance of positive psychology to therapy. 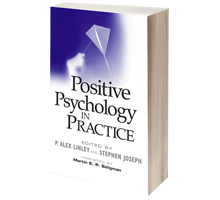 Positive psychology is an exciting new orientation in the field, going beyond psychology’s traditional focus on illness and pathology to look at areas like well–being and fulfillment. 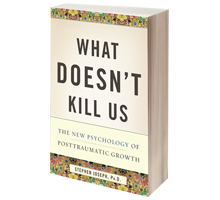 In this groundbreaking new book, Stephen Joseph boldly challenges current notions about trauma and its aftermath. 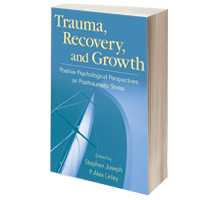 This book provides clinicians with the resources they need to implement positive psychology interventions in their trauma treatment. 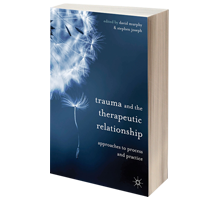 This is the first book to combine trauma recovery with the therapeutic relationship. 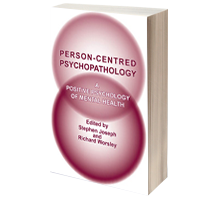 The person-centred approach offers a positive psychological vision of psychopathology. 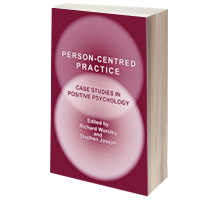 This book is an essential resource for all who wish to understand person-centred theory. 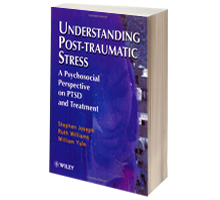 This book provides that understanding by drawing on existing theories to present an integrative model of psychosocial adaptation to trauma. 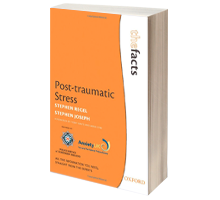 Though mainly intended for sufferers of post-traumatic stress, and their families and friends, this book will also be of interest to the general reader and an invaluable resource for professionals.